Tending our gardens is a lifelong pleasure. As we age, our energy and physical abilities become more limited. But gardens are magical, evolving places, with the potential to keep us young at heart, physically fit, out in the fresh air and full to the brim with joy and expectation. 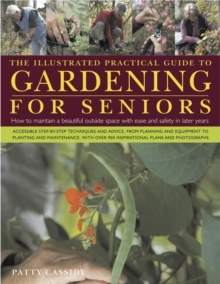 This ground-breaking book shows how easy it is for older people to carry on gardening. The different kinds of garden set-up are considered first, along with planning decisions and how best to keep safe and comfortable. An informative chapter looks at the main gardening activities and appropriate equipment, especially those that answer physical limitations. Different styles of garden are then presented: flower, vegetable, fruit, raised, herb, patio, vertical and indoor gardens, each one including projects and techniques, from building a raised bed to growing potatoes in containers. The final chapter is a directory that profiles the many planting choices available. 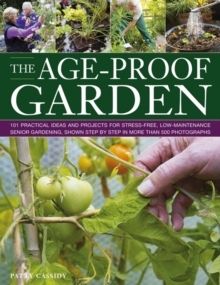 Packed with projects, garden plans and step-by-step sequences designed for older gardeners who may not be able to exert themselves in the same way as they once could, this will appeal to active gardeners in their early retirement through to seniors with more limited abilities, and show how gardening can be a lifelong pleasure.